This month we attended the book launch of Short Black - short rides on a black bike. The book is a description of many highlights of the Southern Highlands as seen during many short rides (or drives). 31 different cafes and restaurants are given short reviews, including the Wingello Village Store’s Un-named Cafe. The book, designed as a “coffee table” book, provides a great resource to explain to family and friends why we live in the Southern Highlands. We have sold a number to customers who send them as gifts to their guests who wonder why we live “so far away”, but are delightfully surprised we have discovered a secret place to live a good life. The book has a plethora of marvellous photos of scenes you will recognise and enjoy. 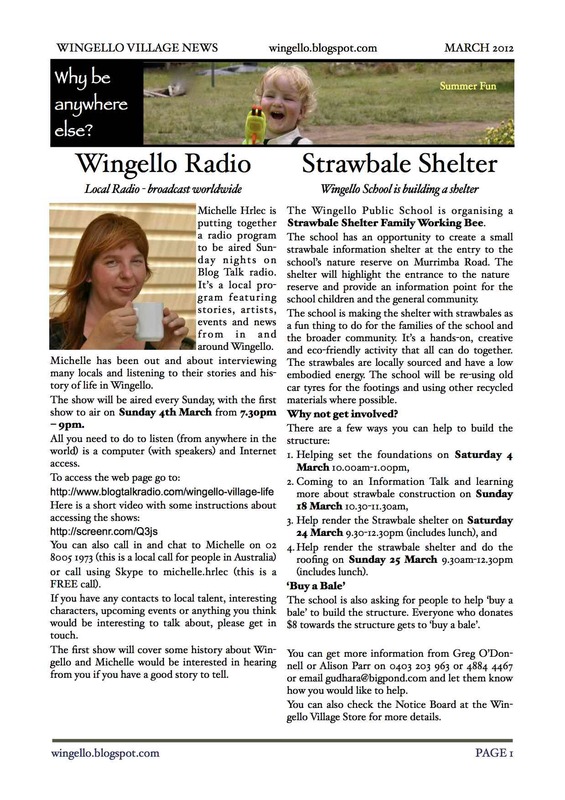 Wingello Village News for March 2012 is out.